Spring is a great time to stop and smell the flowers. At the modern apothecary shop, we're hand picking soft faded hues for soap wrapping and designs. We're anxiously awaiting the tulips, violets, and red buds to unveil their glorious beauty. The past few days I've been clearing and tidying up at both our home and the shop. We're starting some remodeling projects at our home and I'll be excited when we start installing new fixtures and get close to the end of the construction. The shop is experiencing a Hygge phenomenon. Practicing Hygge is not limited to winter. You can enjoy the gratifying moments year round! The grass is beginning to turn green and I'm itching to plant my stash of zinnia seeds. We've turned over the calendar to thee merry month of March. This month transitions into spring! We're whipping up upbeat blends with citrus and floral. 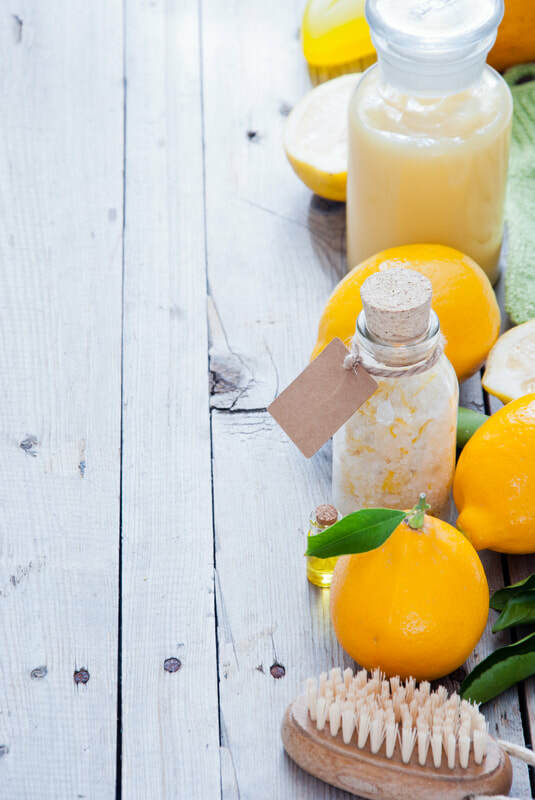 One of our favorite essential oils is lemon. We love the fresh invigorating citrus aroma! Though the month we'll be introducing products that are hand-dipped in yummy lemon. New lemon soaps will soon be hitting our shelves! We're in the process of completing our new "Back to Basics" line and have announced the arrival or our beeswax wood polish and "Grandma Lucy's" Dish Soap Bar. You can read more about both of those new Bittersweet products on the soap maker's blog. Spring is just around the corner! Wave goodbye to January and say hello to February! Here at Bittersweet we cherish all twelve months, but February is dear to our heart. 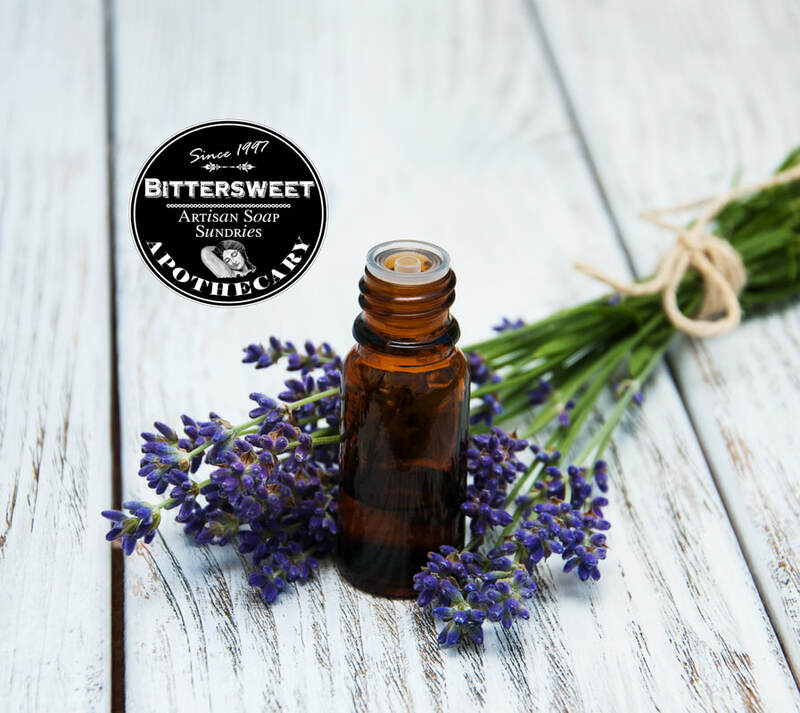 What better time than February to celebrate and indulge in the goodness of our favorite herb, Lavender. We're celebrating by offering an array of Lavender Products, Bouquets, and Perfumes at our brick and mortar. We believe in blooming where you're planted! In this case, blooms of lavender. 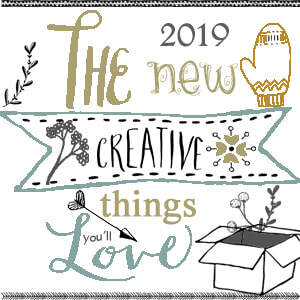 My 2019 Creative Juices are flowing like a river! I'm excited more than ever to introduce a medley of new Bittersweet offerings brought on by the down time. I'm thrilled to be winding down from my break and preparing to re open the apothecary shop with a Winter Grand Re-Opening! New this year... I've opened the back room! It's wide open and has the perfect Feng shui stream. The extra space grants the opportunity to expand and put forward growth and development. Gosh, that sounds so corporate! 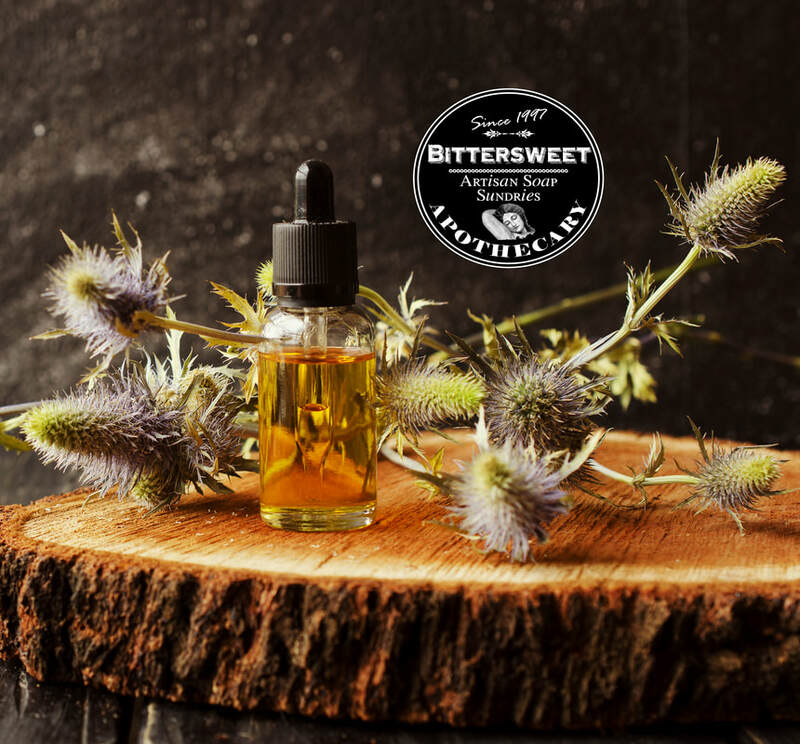 Bittersweet welcomes you to come and explore and check out our latest and greatest artisan goods. 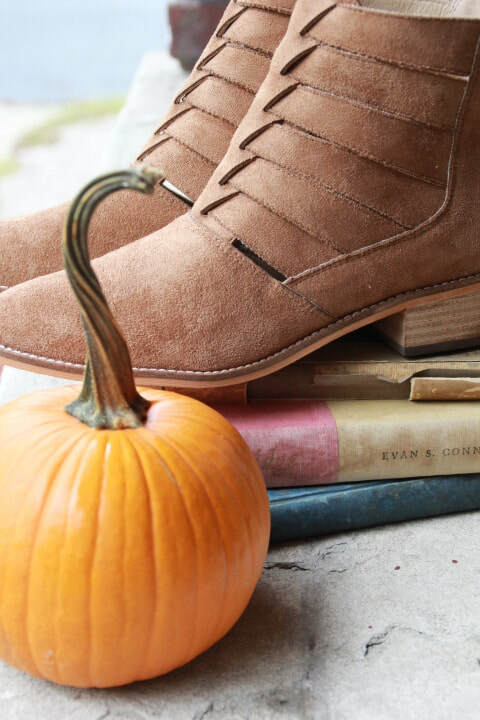 We're kind of wondering why we haven't jumped on the Felted Wool Bandwagon. Now we are! After researching the technique further, I was intrigued with the process of felting soap. We also believe the special soap will make a lovely and unique gift for the holidays. 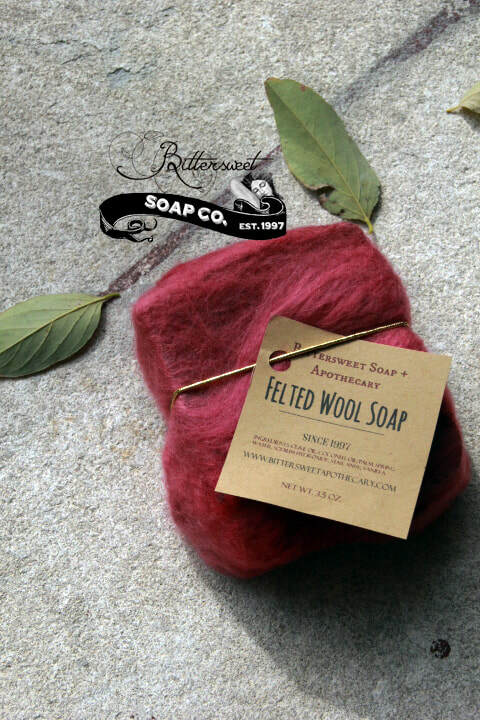 Wool wrapped soap offers natural antibacterial properties. The soft wrapping extends the life of the bar, and offers a lather that is nothing short of amazing! Then there's the gentle and soft exfoliating that glides over your skin leaving it baby soft. There you have it. The whole wool story. We'll be offering a mix of red and green wraps through the season. For now we have a collection of beautiful rosy reds. ​Here's a link to order. We love denim! Our latest Fall, 2018 Denim Collection offers a mix of brass button jeans, overalls, and maxi skirts. We're more than a soap shop! 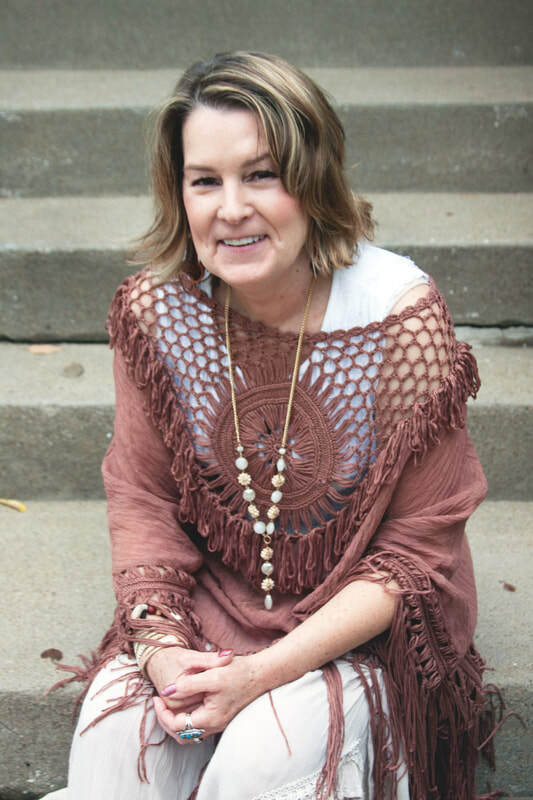 Visit our modern apothecary shop and design a new fall perfume, stock up or discover amazing natural skin products, spicy fall soaps, and a full line of one of a kind clothing and accessories. Grab a cuppa Joe, and kick back on our amazing shop porch! 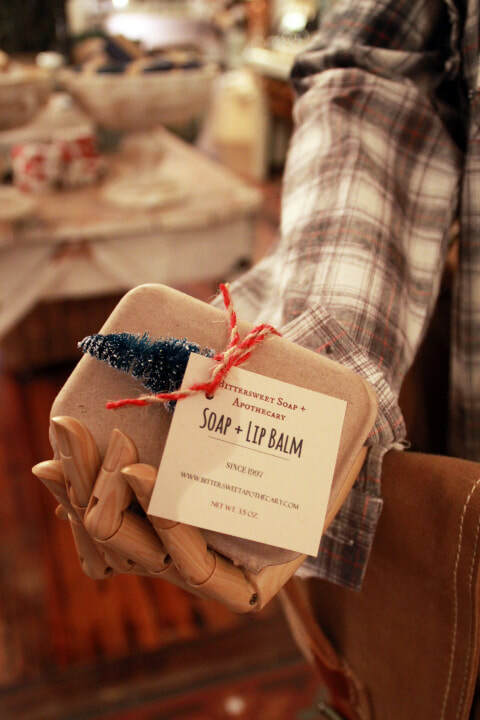 We're not just a soap shop! 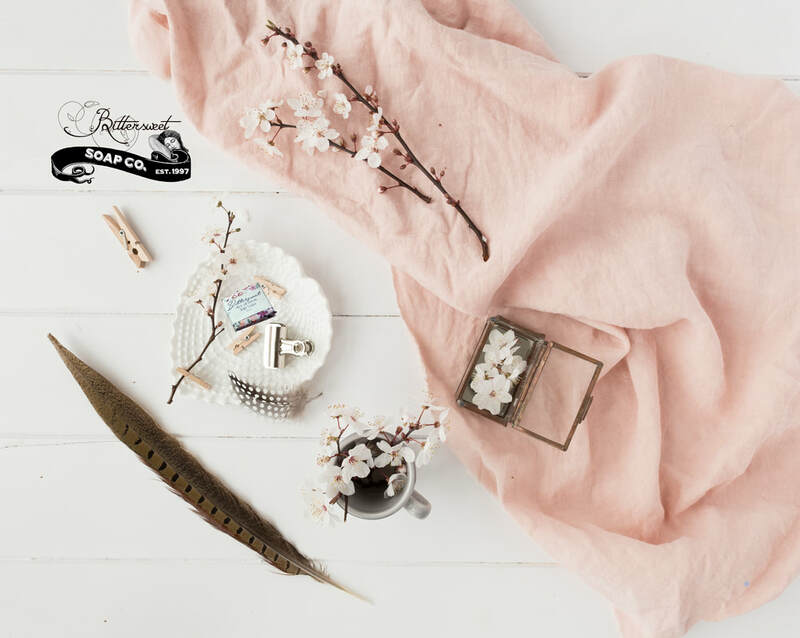 Bittersweet offers a unique selection of clothing and accessories. Our Fall 2018 collection is dipped in velvet and suede. Our clothing department is similar to our apothecary, we sell out fast and typically don't duplicate our hand picked merchandise. The anticipation of the sniffing an artisan perfume is exciting! Autumn is an ideal time to create an intoxicating new perfume. We offer one-hundred top notes, middle, and bases so that you can mix and mingle them to create a signature perfume. Our Perfumery is open during shop hours and awaits your creation.